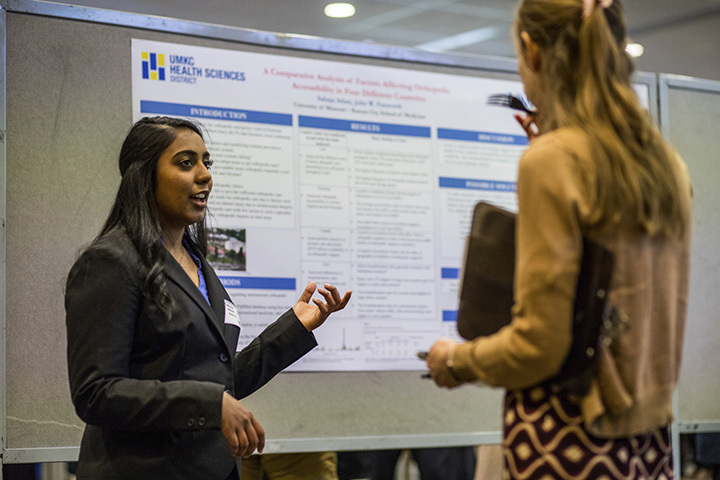 Third-year medical student Sahaja Alturi explains the details of her research poster at the annual UMKC Health Sciences Student Research Summit. Sahaja Atluri, a third-year medical student at the UMKC School of Medicine, was just 11 years old when she saw her grandfather die of lung cancer. It was then that she decided to become the first doctor in her family. “That was when I realized, maybe if we’d detected the signs and symptoms earlier, there would have been something we could have done for my grandfather,” Atluri said. Now, her passion is orthopaedic surgery and providing orthopaedic care for people in poor and underdeveloped areas of the world. Atluri conducted an exploratory study of the accessibility of orthopaedic care and the disparities of care in impoverished areas. 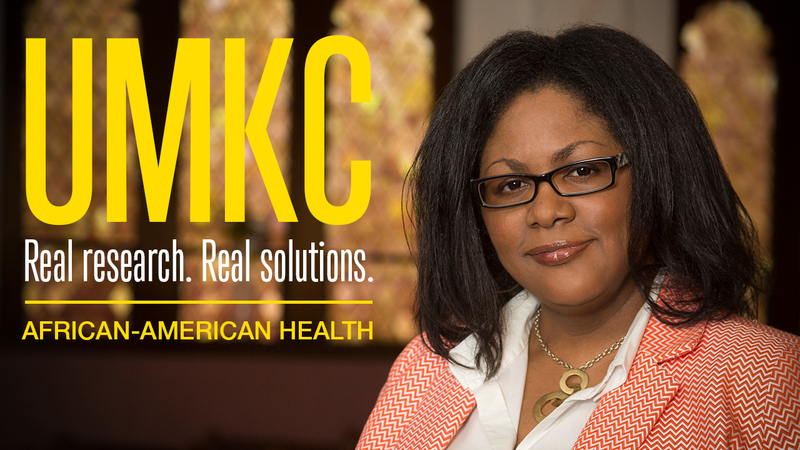 She put her findings on display in a poster presentation on April 18 at the annual UMKC Health Sciences Student Research Summit. She said her study showed a great need for orthopaedic medicine in underserved populations worldwide. It also pointed out that people in those parts of the world run a higher risk of suffering acute traumatic injuries. 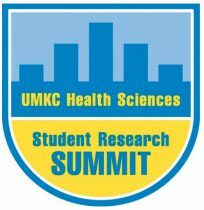 Alturi was among the 50 medical students who participated in this year’s research summit at the UMKC Student Union. Med students presented 45 of the event’s 87 posters. 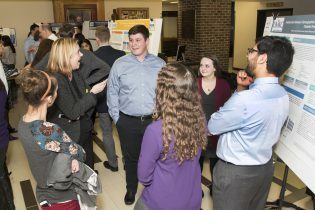 Students from the health sciences schools of dentistry, nursing and health studies, and pharmacy, as well as and the School of Biological Sciences also presented posters. 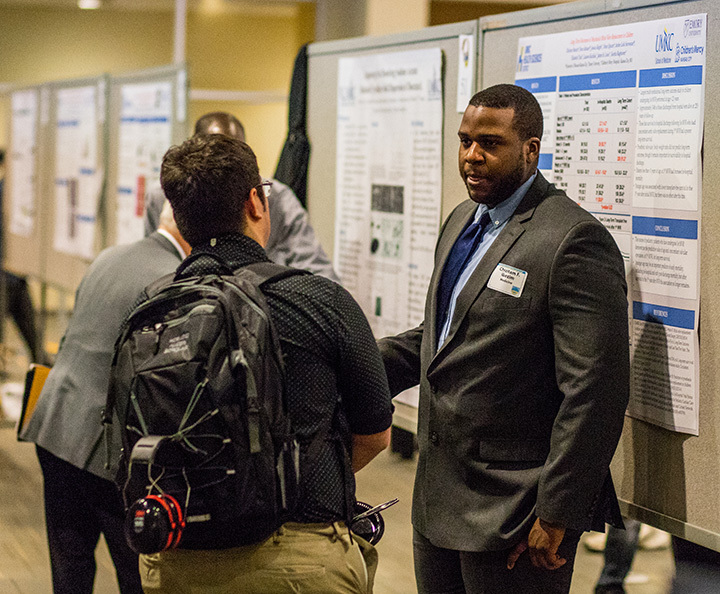 Mark Hecker, director of research administration at the School of Medicine, said a growing number of SOM students this year participated as co-presenters of research posters that they had worked on together. Sixth-year medical students Cassidy Onukwuli and Juliet Gatiba collaborated to gather data for a survey looking at preventive health screenings conducted in African-American churches. Onukwuli said it began with serving as volunteers on a larger project by Jannette Berkley-Patton, Ph.D., associate professor of Biomedical and Health Informatics. That program, called “Taking it to the Pews” (TIPs), is actually taking health education and screenings to African-American church congregations. Gathi said that having a classmate working beside her on the research made the work less daunting. Second-year student Josh Hill stood in front of his poster that explored two different surgical procedures to treat a bleeding Meckel’s diverticulum. The research sought to highlight which procedure led to fewer complications. Hill said his role was to read through 249 case files of patients from 2002 through 2017, seeing if they were included in the study. 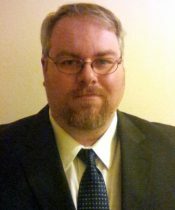 He documented those that were, listing any complications such as bleeding, small bowel obstruction or perforations during the surgery. As a data collector, Hill said he took his time studying the cases. With plans of becoming a surgeon, Hill said he knows that having a research background will give him leg up when Match Day rolls around for his class in four years. Hill said he is already collecting data as part of a new research project. 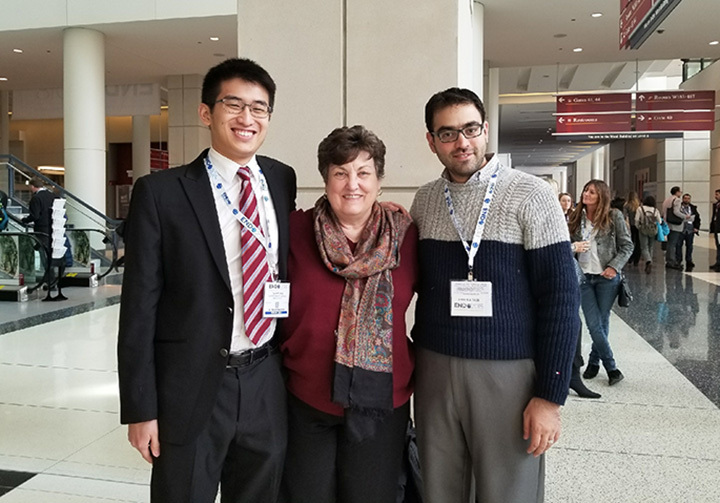 Six medical students from the School of Medicine are co-authors of research abstracts or posters that have been accepted for presentation at the 2018 Experimental Biology meeting this spring in San Diego. Elizabeth Onishchenko, fourth-year student, is the second author of an abstract selected for a poster and oral presentation. The abstract is Minimal Effect of Aliskiren on Mast Cells Count and Renal Vascular Damage in Acute Rat Model of Triolein Induced Pulmonary Fat Embolism. Authors are Farnaz Khalafi, Onishchenko, Mohammad Pour, Daud Arif, Paula Monaghan, Alan Poisner and Agustino Molteni. Fourth-year students Thomas Haferkamp and Taylor Lind are co-authors of the poster, Mast Cell Heterogeneity in Rat Lungs in a Model of Fat Embolism After Treatment with Drugs Related to the Renin Angiotensin System. Authors are Ahsan Siddiqi, Saba Siddiqi, Dauod Arif, Haferkamp, Lind, Mohammad Pour, Paula Monaghan, Soheila Hamidpour and Agostino Molteni. Michael Van Dillen and Ariana Fotouhi are fourth-year students who co-authored Pulmonary Cell Stained in a Rat Model of Fat Embolism for Renin and Prorenin are Increased After Aliskiren Treatment, Which Ameliorates the Fat-Induced Inflammatory Process. 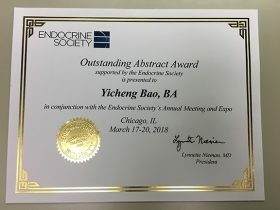 Poster authors include Ethar Al-Husseinawai, Jordan Dane Colson, Van Dillen, Fotouhi, Mohammad Asan, Lucille White, Mohammed Pour, Daud Arif, Paula Monaghan, Alan Poisner, Agostino Molteni. Abigail Spaedy, fourth-year student, is a co-author of the poster, Mast Cell Numbers of Rat Lungs in an Acute Model of Fat Embolism are Reduced by Aliskiren and Losartan But Not By Captopril. Authors of the poster include Dauod Arif, DayneVoelker, Spaedy, Soheila Hamidpour, Alan Poisner, Mohammad Pour, Paula Monaghan, Farnaz Khalafi, Agostino Molteni. Experimental Biology takes place in San Diego, California, on April 21-25. Faculty members judged the student teams’ research posters. 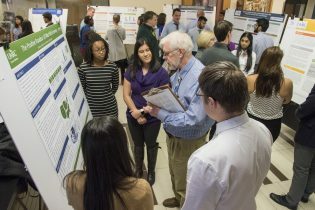 On Dec. 5, more than 100 third-year medical students presented research findings at the UMKC School of Medicine as part of their coursework in medical neuroscience. Students, in teams of four, used data from the Cerner HealthFacts database to try to answer a unique question they identified related to various disease and conditions. 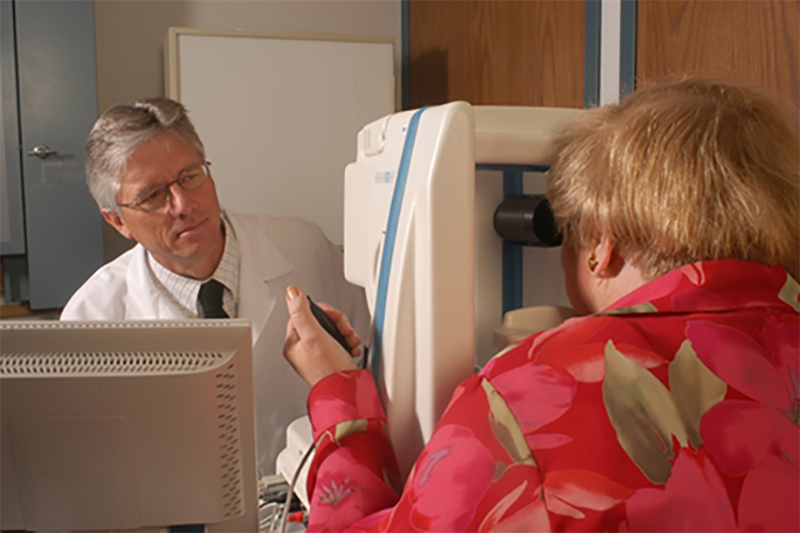 Those examined included Alzheimer’s Disease, stroke, obsessive-compulsive disorder, epilepsy and diabetes. After analyzing the data and drawing conclusions, each team made a poster displaying its question and hypothesis, telling how the team members went about testing their hypothesis, explaining their findings, and identifying questions for further study. The idea behind the exercise was to give students an early research experience, and for many it was their first medical research. By all accounts, the assignment was a success. Several students said that before the exercise they were worried about how difficult it would be to do research, but now they looked forward to being able to do more. Shafaa Mansoor, whose team studied possible seasonal effects on strokes, said she is interested in community health and now sees research as a way to further that interest, identify the real effects of medical conditions and test possible treatments. Her teammates Rebecca Kurian and Tom Matthews agreed that the project was a good, hands-on way to learn how to do research. More than 40 faculty members collaborated to make the project a reality, including several who judged the presentations. Each team also had a faculty mentor and a supporting biostatistician from the Department of Biomedical & Health Informatics, Children’s Mercy Hospital or the School of Nursing and Health Studies. One of the judges, Maria Cole, M.Ed.L., Ph.D., an associate professor in biomedical sciences, very much liked what she saw. Jennifer Bickel (second from left), M.D. 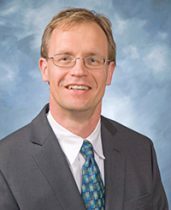 ’01, associate professor of pediatrics and chief of the headache section at Children’s Mercy Hospital; was one of three faculty members who devised the exercise. She circulated among the student research teams to get their thoughts on the exercise. The exercise was devised by Jennifer Bickel, M.D. ’01, associate professor of pediatrics and chief of the headache section at Children’s Mercy Hospital; Julie Banderas, Pharm.D., BCPS, professor and interim chair of the Department of Biomedical & Health Informatics, professor and associate dean for graduate studies; and Paula Monaghan-Nichols, Ph.D., professor and chair of the Department of Biomedical Sciences and associate dean for research. The teams were judged for poster content, clarity, appearance and organization; their oral presentations; and demonstration of critical thinking.